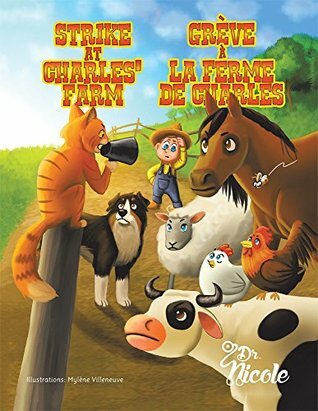 When all the animals at Charles' Farm decide they'd rather not do their jobs, he gathers them together to learn why. This book is written in French followed by the English translation. Each page is illustrated to show delightfully whimsical depictions of this irreverent group of farm animals as they shirk their farming duties. The outcome of this story brings about a positive resolution in which all the animals and Charles come to an agreement. Strike at Charles Farm is an educational story which will enhance language skills while teaching a valuable lesson. This book is recommended for home and school libraries and has earned the Literary Classics Seal of Approval.